NHL News : Price makes save of the year in first preseason game! 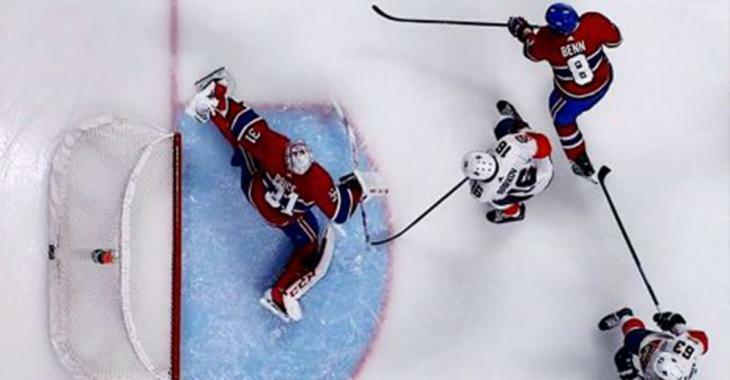 Price makes save of the year in first preseason game! The former Hart Trophy winning goaltender is already in midseason form! First up, Habs forward Max Domi absolutely DROPPED Panthers blue liner Aaron Ekblad with a nasty sucker punch. That's VINTAGE Carey Price right there! Price looks to be in midseason form and it's not even October yet! This bodes very well for the Habs, especially given how much they've struggled in recent seasons when Price was down and out with injury. The 31 year old netminder managed 49 games for the Habs last season, but struggled for large stretches of the campaign. He ended up sporting a 3.11 goals against average and .900 save percentage by the end of his season, well below his career average of 2.46 goals against average and .918 save percentage. If the Habs themselves are going to bounce back in 2018-19, they'll need a strong bounce back season from their netminder, as well.